Military Diet Food List: Is the 3-Day Military Diet Worth it? What is a military diet? People looking to shed a few pounds before a big event often looks to quick fixes such as diets to lose weight fast. Most often than not, a few of the things people look for are ideas on food for weight loss, exercise tips, and diet ideas. One of the many diets people often try is the military diet. According to a website dedicated to the diet, the military diet is also known as the “3-Day Diet” because it is one of the fastest ways to lose 10 pounds a week. According to a report, the diet is also known as the navy diet or ice cream diet as it allows the dieter to even eat ice cream. The diet is a variation of the popular three-day diet, and that the diet itself has a fill-in-the-blank food list to eat if you want to quickly lose weight. The diet claims that 10 pounds can be lost in as little as three days to a week if you are strict with following the diet. The meal plans are often basic and calorie-restrictive. 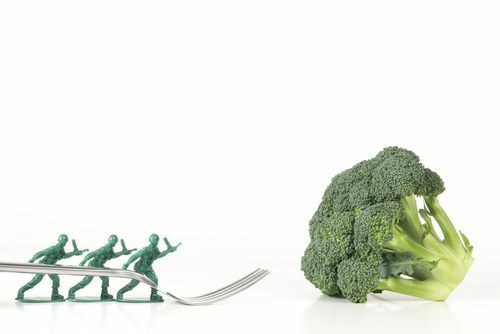 Split into two phases for a 7-day period, the military diet consists of eating just 1,100 to 1,400 calories a day. The first three days of the diet calls for dieters to follow a set low-calorie meal plan for breakfast, lunch, and dinner. No in-between snacks are allowed. For the remainder of the week, dieters are encouraged to eat healthily and continue keeping calorie intake low. Those who swear by the diet claim that it can be done several times until your target goal weight is achieved. Snacks are permitted in the next four days of the diet and no food group restrictions. However, dieters should limit portion sizes and keep a total calorie intake of under 1,500 calories per day. Substitutions are allowed for this type of diet, especially if you have dietary restrictions but one thing will always remain: portions should always contain the same amount of calories. For instance, if you have a peanut allergy, peanut butter can be substituted with almond butter, while a cup of tuna can be replaced with almonds. Moreover, hot lemon water is encouraged to be consumed, but dieters should steer clear of artificially sweetened beverages. While other diets require a complicated menu the military diet is a lot simpler to do. This is because dieters are required to follow a restricted diet for the first three days of the week while the rest of the week can have variations, making it less repetitive in terms of what food to take. Your metabolism can shift into high gear within just a few days of following the diet. People looking to quickly shed the pounds will find that the military diet is perfect for them because 10 pounds in a week is ideal all without having to go hungry. Fixing an elaborate meal can be difficult for busy individuals as they simply don’t have the time for it. With the military diet, food options are very easy to prepare as it will be the ideal diet for those who are just too busy to cook a meal or for those who prefer something quick and easy. Eating processed food like bread, peanut butter, and ice cream will not improve your health. Counting and limiting calories also do not emphasize how important it is to eat quality nutrient food. The goal of any diet is to teach you to establish healthier eating habits and the military diet doesn’t do this because it won’t teach you how to effectively respond to your body’s hunger or fullness signals. Diets such as this can cause the body to go into “starvation mode,” that is the metabolic state that the body starts to slow down and burn less as it recognized that calorie intake is too low. While trying out the diet might not hurt for the first several weeks, sticking longer to it could do damage as fewer calories are used for repairing tissue, producing hormones, supporting cognitive functions, physical activity, digestion, and libido.